Home Theater has been around longer than you may think. It began back in the 1920s and 1930s when Hollywood’s elite built screening rooms so they could watch movies they had just produced, directed, or starred in. Even though they were luxurious, early home theaters were complex and intimidating. The moguls who enjoyed them kept technicians on staff to run the noisy and cantankerous projectors of the day. Technology has come a long way since. Now, home theater systems are far more convenient, far more accessible, and far more reliable. And, thanks to the efforts of literally thousands of engineers, designers, and installers, they’re far more capable, too. A good home theater system will provide hours of enjoyment for you and your family as it literally immerses you in sights and sounds once available only at the finest first-run movie houses. A home theater system can also help create just the right environment in which to enjoy your favorite movies by adjusting lighting, closing the drapes, even turning on the popcorn machine! For the music lover, a home theater system can also do double duty and reproduce your favorite music recordings with startling clarity. Consider what kind of a home theater system you really want. It might be a full-scale dedicated theater room with custom seating, lights that dim automatically when you press “Play”, curtains that sweep into place to block distracting sunlight, an extensive loudspeaker array, and the latest super high-resolution front projector; in other words, the kind of system that can provide a fully immersive sensory experience. Or perhaps you would like a simple solution that you can hook up yourself in an hour or so and yet will still offer much improved performance over the speakers built into the TV. We’ve chosen to limit our offerings to just a few really outstanding audio/video components – price point based products may seem to offer everything, but unfortunately something must give as the price drops. That “something” is the most important thing of all – sound quality! Paper specs can be fudged to the point where they are close to meaningless (and frequently are). The simple truth is sound critical stages are cost intensive and we just won’t skimp there. Our attitude may seem uncompromising… because it is! Your home theater is likely to be the center of your home entertainment for years. As you consider an investment in a new home theater, we encourage you to think in those terms. Day in and day out, it will either disappoint or delight you. Our all-in-one receiver, the RSX-1562 rivals most separate components. Our RSP surround processor models, when combined with our multi-channel theater amplifiers, offer a level of immersive cinematic sound that will take movie watching to a new level of involvement. 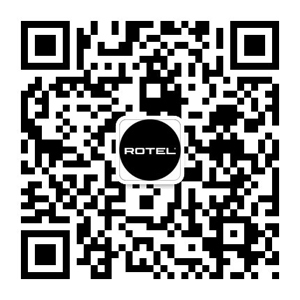 Whether you choose a Rotel receiver or an RSP and an array of amplifiers, we recommend you discuss the installation services offered by all Rotel dealers. They understand room acoustics, system matching and the multitude of details that can make the installation of a home theater a gratifying experience from start to finish, leaving you only needing to make some popcorn and push play! While there is no such thing as a ‘standard’ home theater, we can generally break up the system into a few key categories, which we will cover in greater detail below. A relatively standard home theater setup might consist of a few sources such as a Blu-Ray player and Cable TV set top box, a TV, a Surround Receiver such as the RSX-1562, 5 speakers and an Active Subwoofer. This term is used quite frequently in Home Theater, so we’ll discuss it briefly here. The source material for your Home Theater can come from a wide variety of places. However, it is good to keep in mind what types of sources you plan on using to ensure your system has all the appropriate connections to handle them. What sort of display will you be using to watch your movies? Will it be a dedicated theater with an overhead projector and film screen? Or is this your living room with a 60” LED TV? Do you need 3D? Choosing the right display to show your video is another critical step in the process, and requires careful consideration. At the time of this writing, almost every current display will utilize the HDMI connection to display the video. Your choice will be influenced by a variety of factors, from décor to ambient light levels. Most Home Theater systems will stick to a 5.1 or 7.1 channel arrangement, although there certainly are systems that utilize far more than this number of speakers. Here are some broad guidelines for home theater loudspeaker placement. These recommendations are not cast in stone, as almost every system and every room has some eccentricity that requires a bit of modification. However, if you stray too far from these guidelines, you will probably create more problems than you’ll solve. These speakers should flank the display and subtend an angle of 45 degrees when viewed from the main viewing/listening position. Most loudspeakers sound best when placed away from the front and side walls of the home theater room. Make every effort to place both speakers on the same plane. This means they should be at the same height as each other, preferably with their tweeters at ear level when you’re seated in the prime location. They should also be placed at the same distance from that prime viewing/listening location. When setting up your home theater, proper bass management is a key step to making sure your system sounds as good as it possibly can. Not every loudspeaker is designed to be able to reproduce deep bass frequencies. It can take a fairly large speaker and woofer to really hit the low notes effectively, and asking a small bookshelf speaker to try and reproduce some of the more demanding bass effects on a movie soundtrack can sometimes result in distortion or even damage to the speaker if it isn’t designed to handle those frequencies. Fortunately, most home theater receivers and surround processors offer some settings to allow you to specify whether your speakers should be played as “Large” full range speakers, which can handle deep bass signals, or if they should be designated as “Small” speakers which will have their deep bass signals rerouted to the subwoofer. This way you can let your smaller speakers play the way they were intended while letting the subwoofer handle the heavy lifting which it was designed for. Once you have your source material and selected speakers, you will need some electronics to connect everything up. The heart of a typical home theater system can be broken up into two distinct sections – the surround processor and the power amplifier. The surround processor acts as the control system for the entire theater. The processors role is to allow you to switch between all of your various sources, and for each source the processor can decode the audio, provide volume control, bass management and route the decoded sound out to the power amplifiers and subwoofer. In many cases the processor also switches and routes the video signals to the display as well. When choosing a processor, there are many factors to consider, one of the foremost being connectivity: can I connect up everything I want to listen to in my theater? Most video sources today utilize the HDMI connection to pass both HD audio and video, so having enough HDMI connections is always important. However, you may have other sources to consider. For example, want to listen to some music on your iPod? A front USB connection will allow for this. Perhaps you have a Sonos Connect that you want to use to stream music to the system – an optical or coax digital connection would be ideal for this. Do you need 3D video? Make sure the processor can pass 3D video via HDMI. In a typical home theater each speaker should have one channel of amplification (there can be cases where a speaker uses more than one channel of amplification such as bi-amping, but that is beyond the scope of this article). So for a “standard” 5.1 home theater that consists of 5 loudspeakers plus an active subwoofer you would need a 5 channel amplifier. Just because a system is considered a Home Theater system doesn’t mean it can’t also pull double duty as a great music system. Our Home Theater power amplifiers have more than enough finesse to reproduce all the nuances of demanding musical passages without missing a beat. Likewise, our Surround Processors and Receivers offer many features geared toward music performance such as a dedicated analog bypass option should you wish to listen to your music in stereo with no additional processing, as well as front and rear USB connections for playing your digital music sources. With a component system you can find the performance typical of the finest custom-installed theaters. From the sublime to the ridiculous, your theater system can be limited only your imagination. Whatever your comfort zone, be sure to contact one of our highly skilled professional dealers for a demonstration that will knock your socks off! They know and understand all about sound and can confidently install a system designed specifically for your family. While we have tried our best to provide a brief but informative overview of a home theater system, we can’t possibly go into all of the details in this limited space. But, if you are interested you can purchase a copy of our Rotel Insider’s Guide. It is nearly 400 pages of everything you want to know about audio and video.